Gary Brand, Jean Eisenbarth, Abraham Muñoz, Tim Joyner and Kelley Winslow — they're evacuees, survivors, and residents of Paradise. We came across them in the parking lot of The Neighborhood Church and a makeshift donation center in Chico, California where they are now living. 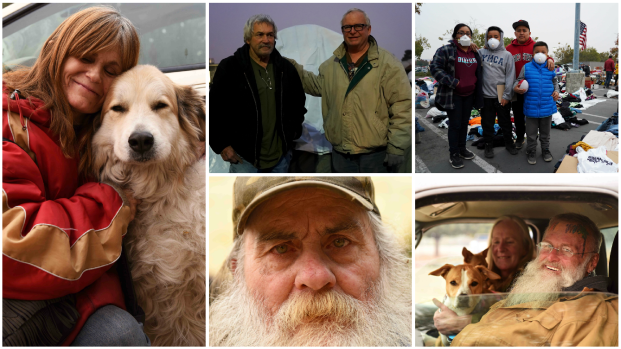 They lost everything in the Camp Fire — California's deadliest and most destructive wildfire — but they won't give up hope.